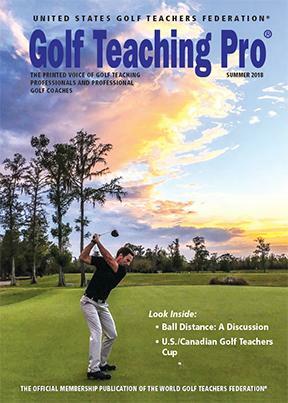 The Summer 2018 edition of Golf Teaching Pro magazine, the official member publication of the United States Golf Teachers Federation, is now in the mail. The hot topic of distance is a focal point, with viewpoints that study the ramifications and possibilities of USGA and R&A action. Featured writers include Dr. Michelle Cleere, Dr. Gregg Steinberg and USGTF member Bert Jones, among others. Look for your copy soon! The latest iteration of the World Golf Teachers Federation Top 100 Teachers list has been released. Each WGTF president was polled for their input, and nominations from WGTF members were also considered. The updated list can be found in the Summer 2018 edition of Golf Teaching Pro magazine, which will be out shortly. 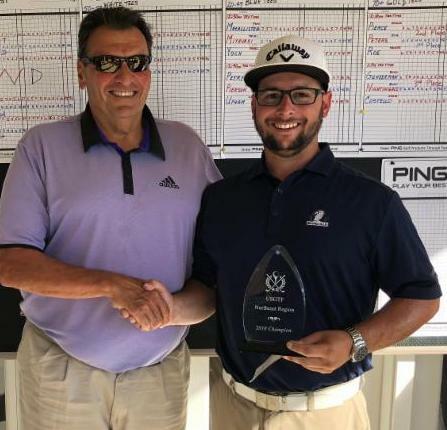 Frank Petry of Somerset, New Jersey, won the USGTF Northeast Region Championship played this past June 15 at Mountain View Golf Course in West Windsor, New Jersey, shooting an 18-hole score of 76 while playing in the 49-and-under division. Chris Upham and Taiki Miyavaki tied for division runner-up honors at 80. Ingrid Narken took home a two-stroke victory in the Ladies division with an 82, while Richard Perine won the 50-59 division with a 79. In the 60-69 division, Bruce Barnett eked out a one-stroke victory with an 85, while James Peters, who has won multiple USGTF region championships in the past, captured the 70+ division with a 78. The USGTF Northwest Region Championship is the next USGTF region championship to be contested, and it will be held Thursday and Friday, July 26-27, at Haggin Oaks golf complex’s MacKenzie Course in Sacramento, California, with region director Bert Jones serving as the host. The entry deadline was July 1, so be sure to follow the results in the next USGTF monthly e-newsletter. The USGTF Southeast Region Championship will be played Saturday and Sunday, July 28-29 at Shingle Creek Golf Club in Orlando, Florida, one of the city’s premier courses. Shingle Creek, and Arnold Palmer design, is always in excellent shape and will provide an enjoyable test for all participants. All WGTF members in good standing, regardless of residence, are eligible to play. A prize fund of $1,000 and the Southeast Trophy is assured with a field of 12 players, and divisions by age will be offered. It is also a good opportunity to catch up with fellow members and plan future events for the section. The entry deadline is July 15. If you have any questions, contact Mike Stevens at ams1127@msn.com. The entry fee is $185 and entries should be sent to the USGTF National Office at USGTF, 1295 SE Port St. Lucie Blvd., Port St. Lucie FL, 34952, or you may call the office at (888) 346-3290. The USGTF Central Region Championship will be held at Pine Knob Golf Club in Clarkston, Michigan, on Saturday and Sunday, August 4-5, with region director Brent Davies serving as the host. The first tee time Saturday will be at 12:00 noon and 10:00 a.m. on Sunday. The entry fee of $199 is for two days of golf, cart, range, prize money, and lunch after the Sunday round, with monies paid out on the gross and net two-day totals. Practice rounds will be available after 1:00 p.m. on Friday, August 3, for $40. To enter, please send your $199 entry fee to: Brent Davies, 5223 Parview Dr., Clarkston, MI 48346. Pine Knob is an upscale public course with 27 holes, tree-lined fairways, water, bunkers, great greens, and is an outstanding place to play. Hotel deals will be available at the Olde Mill Inn of Clarkston (some may remember this location from the 2015 Kelly Cup), a rustic lakefront look with an up-north feel. These rooms will go very, very fast! Participants will need to call (248) 623-0300 or go online at www.oldemillinnofclarkston.com to book. One-person rooms start at $65, two-person rooms at $85, and it is not too early to book. Clarkston is located 45 miles northwest of Detroit right off I-75; a 75-minute drive from the Blue Water Bridge; 60 minutes from Windsor, and 90 minutes from Toledo. The USGTF has USGTF-logoed polo shirts now on sale. They are 100% Polyester, featuring Tri-Mountain UltraCool® Moisture-wicking technology, available in Black, Blue or Cranberry. To order, please call the USGTF National Office at 888-346-3290. Jack McCullars, a longtime USGTF teaching professional, is the founder and owner of International Golf Adventures, a provider of custom golf vacations in the USA and around the world. “I was with Jack on an amazing trip to Morocco more than 15 years ago. 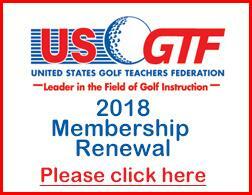 The following offers for our members include free places with their groups for Winter 2018-19.” – Geoff Bryant, USGTF president. * 7 days / 6 nights / 4 rounds start at 899 €. Shorter and longer stays available. * RAM flights available from JFK, D.C., Montreal, Quebec, most major European cities. Free flights subject to confirmation at the time of booking. SPAIN & PORTUGAL – Many choices available for our European members, including options with free stays for those who bring 7 or more paying golfers. 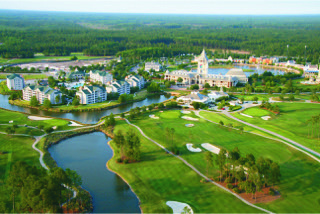 For more information, write to Jack atusgtf@internationalgolfadventures.com, call 888-99-PLAYGOLF, or visit www.internationalgolfadventures.com. 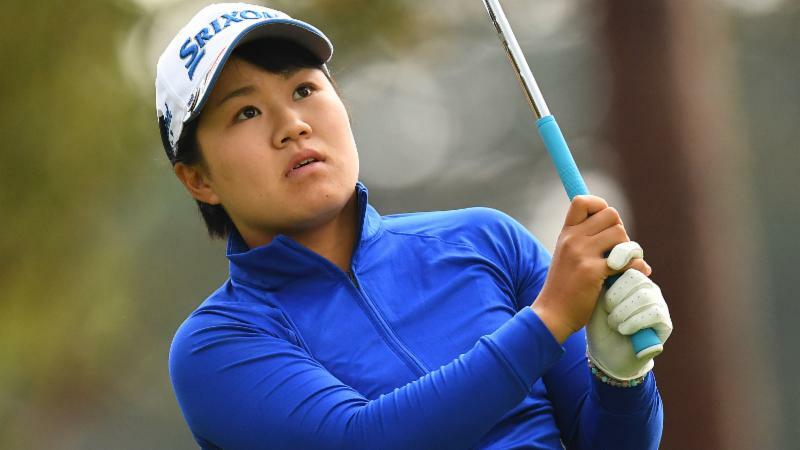 Her rookie year in 2017 on the LPGA Tour featured more missed cuts than made cuts, and her start in the current 2018 season was relatively slow, but Japan’s Nasa Hataoka has been coming on like gangbusters lately, taking the tour by storm. She won the Walmart NW Arkansas Championship and a week later shot a final round 64 to get into a playoff for the KMPGA Women’s PGA Championship, where she was eliminated on the first hole. Hataoka has now finished in the top 10 in five out of her last six tournaments. At just 19 years old, Hataoka is poised for stardom. In 2016, she won the Japan Women’s Open Championship, becoming the youngest person and first amateur to win a major championship on the Japan LPGA Tour. Her mother named her Nasa for, yes, America’s space program, wanting her daughter to “shoot for the stars.” At this rate, she will certainly accomplish that feat. By now, most of you have certainly seen Phil Mickelson putting a moving ball back up the hill on Shinnecock Golf Club’s 13th green during the third round of the U.S. Open. For making a stroke at a moving ball, the USGA penalized Mickelson two strokes under Rule 14-5, which prohibits such an act. Most people who thought Mickelson should have been disqualified believed he was guilty of a serious breach of Rule 1-2 (which says, in part, “A player must not take an action with the intent to influence the movement of a ball in play” by stopping or deflecting a moving ball). Certainly, Mickelson did stop the ball from rolling. The penalty for the breach of this rule is two strokes, although a serious breach, deemed when a player has gained a significant advantage, means disqualification. However, there is a caveat. Exception #1 to Rule 1-2 explicitly says, “An action expressly permitted or expressly prohibited by another Rule is subject to that other Rule, not Rule 1-2.” So, we have to go to Mickelson’s action, which was to make a stroke at a moving ball, and see if another rule covers that. 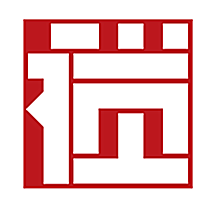 Since that is expressly prohibited and covered by Rule 14-5, the exception to Rule 1-2 itself says, in other words, we can now forget about anything Rule 1-2 says, nothing in Rule 1-2 can be applied, and go to the other Rule. Others thought that Rule 33-7, where the Committee has two provisions to disqualify a player, could have been used. One says the Committee can DQ a player in an exceptional case, and the other allows a DQ for a serious breach of etiquette. One can argue that Mickelson’s case was exceptional, but the fact is a player making a stroke at a moving ball was already contemplated, thus the reason for Rule 14-5. As for a serious breach of etiquette, while Mickelson may have violated professional etiquette, he did not commit a breach of etiquette as the Rules of Golf understand them. That would involve behavior that directly negatively affected one or more competitors, such as yelling in their backswings or taking a gouge out of the green. 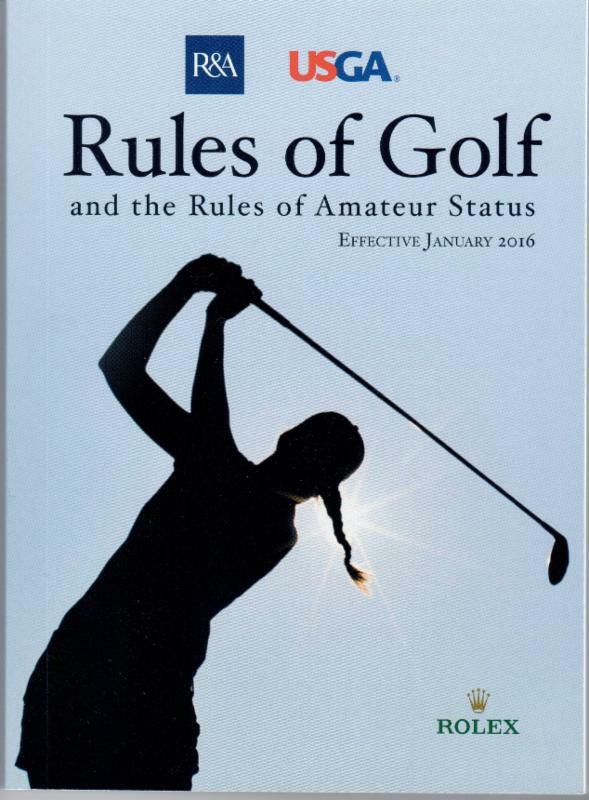 In the end, the USGA’s rules committee, headed by Mike Davis (who is likely the most learned and knowledgeable authority in the world when it comes to the Rules of Golf), ruled unanimously that Rule 14-5 applied in this case. It was the correct ruling and in fact a very easy ruling to make, because when it comes to the Rules of Golf, you have to take the verbiage exactly as written, and in this case there was no ambiguity in the rulebook’s language; what seems more “right” or “fair” cannot come into play.